It’s 2016. Who’s excited about Snapchat? I know I am excited. My wife is too (snapchat username: jennysuemakeup). Even my kids are using it. Well, they don’t have their own account (they’re a bit too young), but they love watching the stories that mommy and daddy post. And, it doesn’t just end there. My two boys actively watch the Snapchat discover tab of ESPN highlights and the LIVE event section that curates other users “snaps” at sporting events like the NFL playoffs. Perhaps I’m just too tuned into what is happening in social media and the Snapchat phenomenon because when I tell friends, family and even clients that they need to get on this app to build their brand, they still cringe. Typically the fourth or fifth word out of their mouths is “sexting”. I get it. I felt the same way too not too long ago. Well, any social media platform can be used in nefarious ways, but Snapchat has left high school and college and is now working for a living. Oh, and it’s worth a lot! More on that in a bit. But just like you, I first started hearing about Snapchat back in 2012 after Nick Bilton, writer for the NYT labeled the app as a sexting tool. You know what, he was right – back then. But like many things such as technology platforms, people in general, even our President, we evolve. Maturity, sensibility and functionality eventually win out. Bottom line, if you’re thinking that you’re just going to keep running your Facebook business page and post some pictures to Instagram, that’s great (and very necessary), but ignoring Snapchat and its wacky interface is like going to the gym and skipping leg day. You’ll still be in pretty good shape, but you’ll have skinny legs…I don’t know, there’s an analogy in there somewhere. Fall 2011, Originally named Pictaboo, Co-founders Evan Spiegel and Bobby Murphy renamed their pic-disappearing app to Snapchat. Good Move! April 2012, Snapchat’s user base had grown to over 100k. December 2012, Facebook launched Poke to try to compete with Snapchats growing presence. It failed, mainly because of me. I never used Poke, With a name like that, I was afraid to, like all of you reading this. Spring 2013, Snapchat exploded to over 60 million snaps per day, surely fueled by the 18 to 24 year old demographic. Spiegel also secured $13.5 million through series A funding. May 2013, brands took notice. One of the first companies to jump on board was, you guessed it, Taco Bell. A late night destination for those key demographics who primarily used Snapchat back then. Smart move! Also in May 2013, Facebook having given up on Poke (another smart move), decided if you can’t beat them, BUY them. So, Mark Zuckerberg offered Speigel $3 million, ahem, $3 billion to acquire Snapchat. July 2015, Snapchat added all of those cool Geo-filters that help add to your overall story. I personally like the New York City ones and Santa Monica, California. August 2015, JaWaViFilms joined Snapchat. Shameless plug here: my Snapchat username is: jawavifilms. Or, you can simply take a picture of my snapcode while you’re in the app, Or if you’re reading this on your phone, you can screenshot this code -> open Snapchat, tap the ghost and then hit Add by Snapcode. It works like “magic”. Like I mentioned, I downloaded Snapchat in the summer of 2015, right before they acquired Looksery. What is Looksery, you ask? One word, “Barfing Rainbows”. Okay, that was two words. Recent reports have tagged Snapchat’s valuation at $16 billion, a figure that would make even Dr. Evil blush. At the recently concluded CES 2016 in Las Vegas, Snapchat was everywhere. They plastered their logo on the Luxor Casino’s iconic pyramid. That was pretty cool, but why the Luxor? Last time I visited that place, it was as like a tomb (okay, bad joke). clayco: Clayton Peters. He’s not a celebrity, but he works for Snapchat and uses the platform during his travels. He will entertain and give you ideas of how to “Snap”. davidrocknyc: NYC based videographer. You’ll get some behind the scenes editing stories and great pics of Manhattan as well. shonduras: One of the original Snapchat creators. Check out his amazing artwork and funny stories. garyvee: The current King of Snapchat, IMO. Want to be motivated? Wait til you spend a day following Gary and you’ll want to work harder and smarter than ever before. As much as I poke fun at the Luxor Casino, it’s owned by entertainment giant MGM International and it also has a light on top of the pyramid that can be seen from space!?! When Snapchat approached the company last year about placing their logo on the hotel, MGM Chairman and CEO Jim Murren referenced how the company should look into the disappearing photo and video app which he was personally fascinated with. Mr. Murren, by the way is 53 years old. Snapchat has a lot of plans for 2016 and as you can see, people, players in the tech industry, and I am excited for the potential for this platform with its ever expanding geofilters, Live Stories and Discover tab. That’s great! In addition to your blog, you have three other channels, congratulations. My question to you, which I heard from Gary Vaynerchuk, would be, “If you were advertising ‘your thing’ on television, would you just want to spread the word to potential buyers on ABC? Or, (if it was free, like social media in most part is) would you also want ‘your thing’ to be seen on NBC, CBS, CNN, and Fox?” I wouldn’t limit myself and if you’re serious about your brand, service or company, neither should you. Okay, Snapchat it is. You probably started or will start exactly the way I did – download the app, sign up and stayed silent. No pictures, no activity as you ponder with confusion, watching others you choose to follow tell their story, but wondering if it’s worth your time or if anyone will care what you have to say. Ep. 003 | GoPro Cameras (Snapchat) from JaWaVi Films on Vimeo. You are paralyzed and befuddled (like I was) by all of the different screens (swipe left, swipe up, down, etc), and by the fact that you have to guess someone’s username in order to follow them because Snapchat does not have a native discovery feature for other users like you and me. And who the heck by the way is going to follow you back? Don’t worry about it. Do your thing. Practice, be yourself, be interesting, be creative. You’ve got three things going for you by posting your thoughts and creating brand awareness on Snapchat. People will watch and learn more about “your thing”. If you flub your words or take a dumb picture, you can delete it and start over before it ever sees the light of day on the platform. Once your post does make it up and a day later, you go back to look at it again because you just aren’t sure, it will be gone anyway because your story is live for only 24 hours. I am creating and curating Snapchat episodes, teaching different topics on mobile video and social media. Cruise on over to my Vimeo page to watch. The author, Scott Duvall is the founder of JaWaVi Films, which specializes in video and content marketing for small businesses who want to share more about “their thing” but aren’t sure where to start. You can find JaWaVi Films on any social media app (including Snapchat) just by searching: jawavifilms. 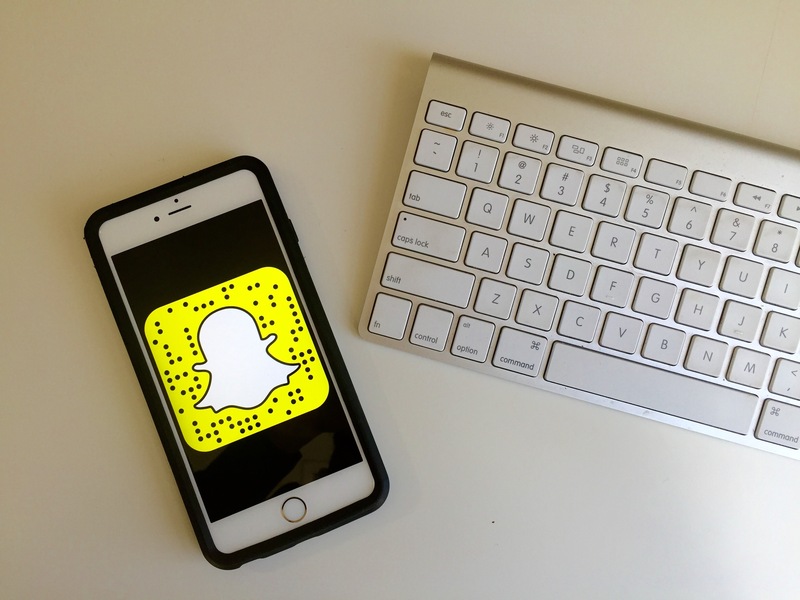 *Dates and details on the timeline of Snapchat were referenced from an October 2015 article from TechCrunch, titled, “A Brief History of Snapchat“. Great article Scott!! I may try it … But I am a little scared! Your post inspired me! Thank you Caroline. I understand being a little intimidated – I know I was, but if you’re serious about growing “your thing” or “your brand” and you’re already on Twitter, Instagram, Facebook, etc…actively using Snapchat is the next new social media to try to get good at for 2016. Good Luck. Feel free to reach out: jawavifilms@gmail.com if you have any questions.